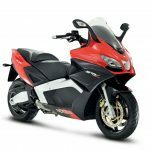 Aprilia USA announced the arrival of a new Max Biaggi race replica version of its two-stroke SR 50 scooter as a new 2013 model. The Aprilia SR50 Race Replica is dressed to match the livery of Biaggi’s RSV4 World Superbike racer. Aprilia had previously produced a race replica SR50, but that was with the white Aprilia Alitalia livery from 2009. 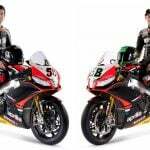 The current model matches the livery from the 2012 machine and, with Biaggi’s contract ending at the end of the season, may be the final edition with the Roman Emperor’s #3. The SR50’s racing ties go beyond the paint job however. The 50cc scooter is also a fixture in race paddocks around the world. Introduced in 1992, the SR 50 is said to be the first 50cc scooter to come with 13-inch wheels, a liquid-cooled engine, front and rear disc brakes and direct fuel injection. 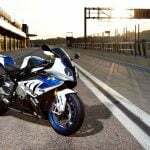 The front face is also designed to resemble the face of the RSV4. 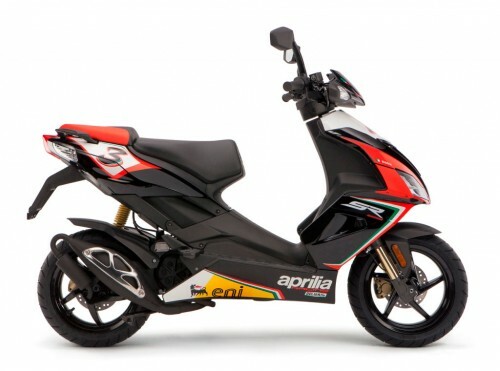 According to Aprilia, the SR50 has a fuel economy of 90mpg. The 2013 Aprilia SR50 Race Replica is available now in U.S. dealerships at a price of $3,199. 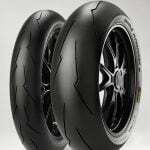 The SR50 is also available in Diablo Black and Aprilia Orange colors, also for $3,199.